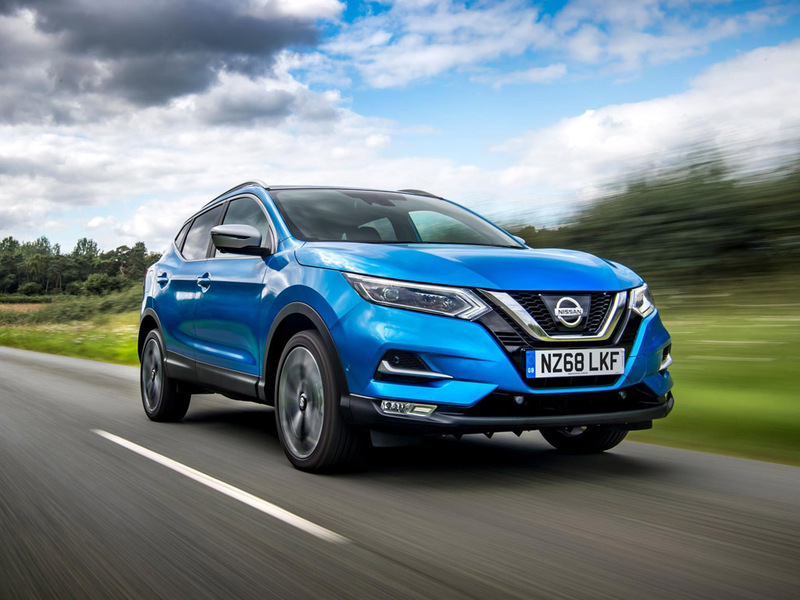 Nissan has replaced the outgoing 1.2 & 1.6-litre petrol engines with a new 1.3-litre DIG-T, which debuts on the Qashqai and promises to provide better economy and emissions. The new Euro 6d-temp compliant motor is available today in two variants, either 138 or 158bhp (140 or 160hp) with six-speed manuals, while from November a further third variant with a new seven-speed DCT on the 158bhp engine joins the line-up. The DCT is the first of its type to appear in a volume Nissan and also offers more torque than the six-speed. Torque figures are 177lb.ft for the low output, 192lb.ft for the high output manual and 199lb.ft for the DCT. The new powertrains directly replace three older ones – the 1.2-litre manual and CVT, and the 1.6-litre manual. Compared to the outgoing 1.2-litre manual, the new 1.3-litre 138bhp has an extra 37lb.ft of torque. Prices for the new petrol engine range from the £19,595 for a Visia with lower powered 1.3 engine, to Tekna 1.3 with high power starting at £28,595. Prices for versions fitted with the new DCT transmission will be announced in due course. Fuel economy and emissions for the new engine is rated under NEDC-BT (correlated) as 53.3mpg and 121g/km CO2 on 17-inch wheels, and 49.6mpg with 130g/km CO2 on 18/19-inch wheels. Nissan also predicts cost of ownership to reduce, thanks to lower maintenance costs over the lifetime of the engine with, for example, oil changes at 18,000-mile intervals compared to the 12,500 miles required on the outgoing engines.